This week I'm joining in with SFR (Science Fiction Romance) Brigade Presents, a group of Sci-Fi romance authors who post snippets every Friday. Check them out to discover other cool snippets. 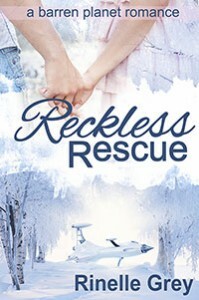 Today's snippet is from near the beginning my SFR novel, Reckless Rescue. The two characters have just been told that they must seperate, and choose new partners, in an attempt to increase the declining population of their world. Tears glistened in his eyes too. “I hope things work out for you next time.” It was a standard response. Expected. She didn’t want to spend her days with someone she couldn’t be open with, couldn’t cry in front of, or, worst of all, someone she was afraid of. “We don’t have any choice, Marlee. The council’s rules apply equally to everyone. And if they didn’t, where would we be? Our population would drop even more quickly. We might not like the idea of changing partners so often, but it’s the only way to make sure there even is a next generation.” He sounded like he was trying to convince himself. Marlee shook her head. She didn’t want to hear it even though she knew it was true. She and Nelor could have been happy together. They had been. A very emotional scene. I feel for the characters. Quite an intriguing premise. Romance isn’t usually my thing, but this sounds like there’s enough sci-fi in it to peak my interest. Thanks for swinging by my blog and leaving a comment! Great to see you here Jenelle. Sometimes it’s hard to pick which group is going to like a book once you mix genres. I like to think there’s something for everyone though! 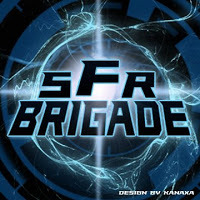 Science Fiction Romance Brigade – sounds like a cool premise. If I had more romance scenes in my novel I’d definitely join but they are far too sparse. They’re a good group, met some great people there, and found some great books! I’m glad the scene worked for you. It’s one of my favourites. How heartbreaking! I’m definitely intrigued. Intriguing and thought provoking. I’m sure glad I’m not Marlee!